Once Alan and team got a plumb/level square on top of the wonky foundation, they framed the external walls in a matter of days. 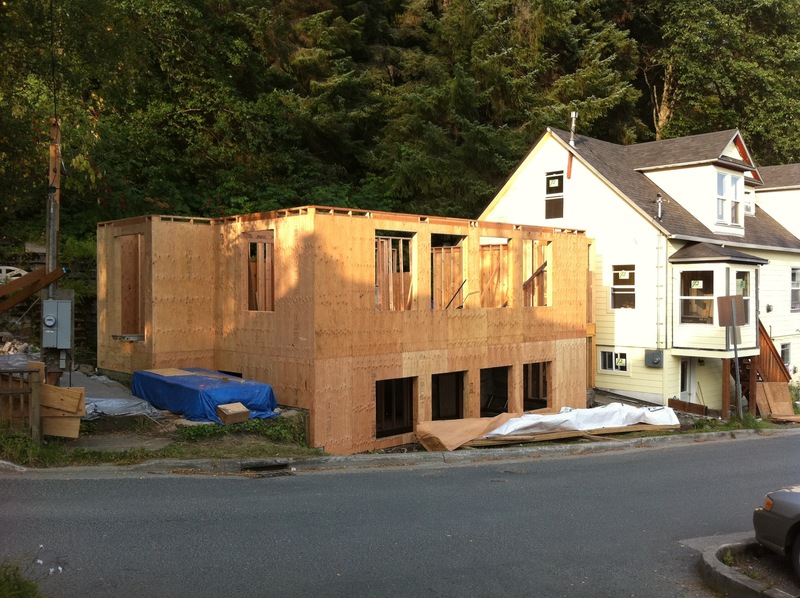 Now we’re looking on to framing the internal walls, the roof, siding, windows, and then some. Also, I’d just like to say for the record how wonderful it is hearing from everyone who walks on Basin Rd everyday and is seeing the house built first hand. Laura, Meadow, and I aren’t alone in our excitement at seeing something physical after the past year’s turmoil. This is fantastic. Loved the slide show and happy for the progress!